Is your employee handbook compliant and informative? BLR is here to help. 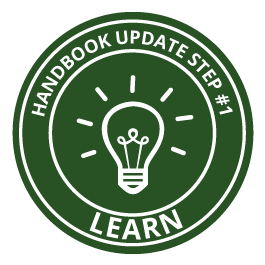 We've compiled a collection of employee handbook resources on this page to help you learn, implement, and maintain through your handbook updates in preparation for 2018! Creating a new handbook or need to brush up? Our editors have put together a quick how-to guide. Download for free! Learn how to update your employee handbook to stay in compliance with the latest federal developments and national trends. 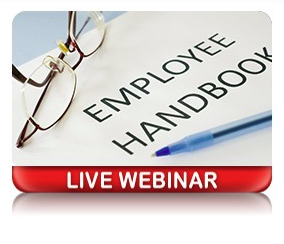 Join us on November 10 for a comprehensive employee handbook webinar. 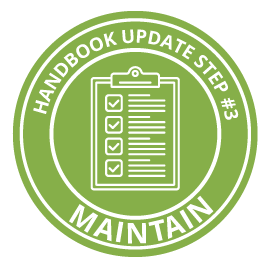 Help check the health of your current handbook or prepare for the creation of a brand new handbook with this free checklist from BLR's HR Daily Advisor. How is an employee handbook like a home-cooked meal? Download this free resource to see if your recipe is a mix for success. Join us on November 10! Learn how to update your employee handbook to stay in compliance with the latest federal developments and national trends. Subscribe to the premier employee handbook build & update service: The Employee Handbook Builder. BLR partners with the Jackson Lewis Law Firm to create and update policies when a change occurs that affects your business. Create custom, state-specific handbooks for one low price. Stay compliant with state and federal policies. Protect your organization against potential lawsuits. Save on printing costs with online access for employees. BLR's premier human capital management conference in it's 22nd year! Attend employment law & handbook-helping sessions, and see a live demo of the Employee Handbook Builder tool in action. 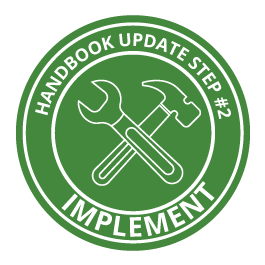 The Employee Handbook Builder from BLR is a completely browser-based system, allowing you to create and update employee handbooks with ease. State-specific policies (for your state) are written in partnership with Jackson Lewis P.C. and updated when regulations change. Request a demo of the Employee Handbook Builder from a solution expert - see how you can quickly build and distribute compliant employee handbooks to your employees or clients!